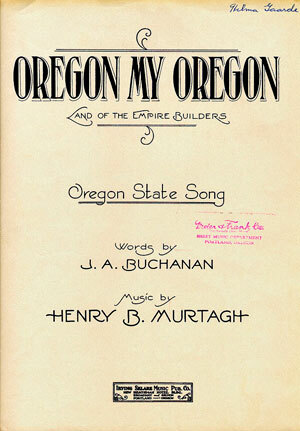 Astorian John Andrew Buchanan and Portlander Henry B. Murtagh wrote the song “Oregon, My Oregon” in 1920. The song was the winner of a statewide contest and on February 12, 1927 it was adopted Oregon’s state song by Senate Joint Resolution No. 2.